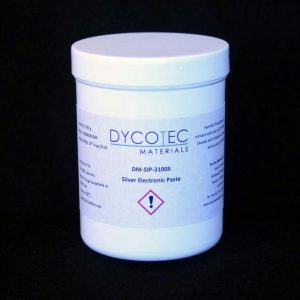 Dycotec Materials offer a range of silver pastes that have been developed for a broad range of applications including; sensors, touch screens, antenna, RFID, printed heaters and photovoltaic cells such as CIGS, perovskite and silicon heterojunction solar cells. 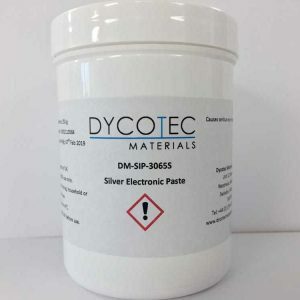 Our silver pastes can be cured at low temperature and are suitable for substrates such as PET and PC. 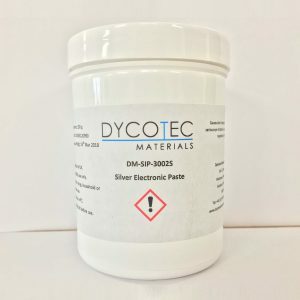 Our silver pastes are primarily designed for flat-bed and rotary screen printing but can be readily modified to suit other deposition techniques such as syringe and high viscosity drop on demand. 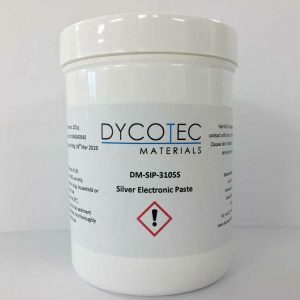 All materials exhibit excellent adhesion to a wide variety of substrates including TCO-coated glass, plastic films and Dycotec Materials’ own insulator products. 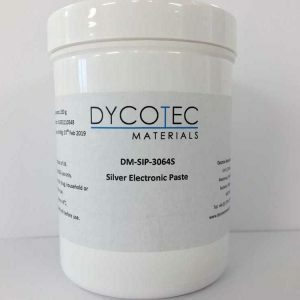 For high resolution printing our nanosilver based paste (3100S) offer excellent electrical conductivity at low sintering temperatures. 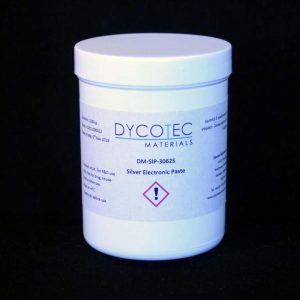 High coverage ensures this material offers a cost effective option. 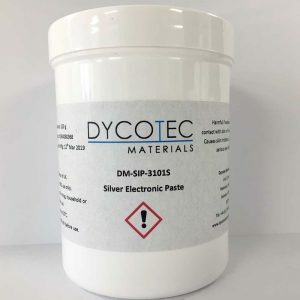 To obtain fine line printed structures (<50 µm), our nanosilver paste 3102S offers high resolution printing. 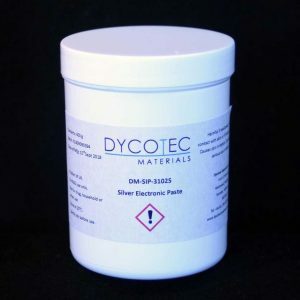 This paste is for use on TCO-coated and glass substrates and is ideal for PV and display applications. 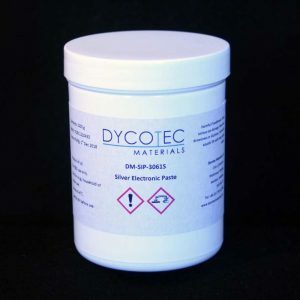 We test our silver pastes to exacting standards ensuring rugged performance. 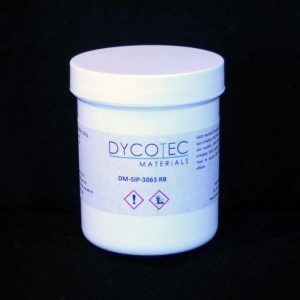 Water, solvent and acid chemically resistant formulations are available. We provide our materials to a global customer base, offering a flexible delivery service from low volume samples to high volume to meet our customer’s production needs. We can rapidly tailor formulations for specific customer requirements.